If you are interested in beginning a home renovation or remodeling project, choosing the best home improvement contractor that can provide energy efficient solutions for your project can appear to be a daunting task. With all of the contractors that are available in the Hartford County area, it can seem very overwhelming to commit to someone that you can trust with granting full access to your home, and with the amount of money it will cost to finance the project. There are a few steps that you can take prior to selecting the Hartford County home improvement contractor that will be best suited to carry out your project and possess the planning tools available that will help to make your remodeling and renovation project a success. It can take a bit of time and effort, so we have complied a list of simple measures that you can take, which will assist you in finding the best contractor for the job. Request referrals and locate credentials: Referrals and credentials are typically the greatest method in locating a certified professional energy efficient home improvement contractor to hire for your home remodeling project. An established contractor will most likely have an online presence where you can read reviews from previous clients. You an also check to see if the contractor is registered with the Better Business Bureau and view what their current ranking is. By performing some simple online research, you can also discover if the contractor possesses the necessary licenses and certifications to perform the project from state and local agencies. Interview multiple potential contractors. Once you have done your research, you should try to narrow down your potential candidates for the project to three separate contractors. During the interview process, you should attempt to find out the following information. Does the contractor have insurance that will offer protection from liability claims? How long has the contractor been in business for and have they done any work in your surrounding community? What types of certifications and licences do you have? Do you have a website or an online portfolio where I can view some of your previous projects? Is the contract detailed and professional? Once you have screened and selected your Hartford home improvement contractor, you should then review the contract to ensure that it is detailed and written in a professional manner. The contract should contain the following information; the overall bid price and payment schedule, a detailed work schedule with start and completion dates, procedures for any work orders or changes, proof that the contractor holds the appropriate licensing, will there be any subcontractors used and will the original contractor always be on site, is there a termination clause or a a clause about dispute resolution. Based in Hartford, CT Sensible Home Products, LLC. 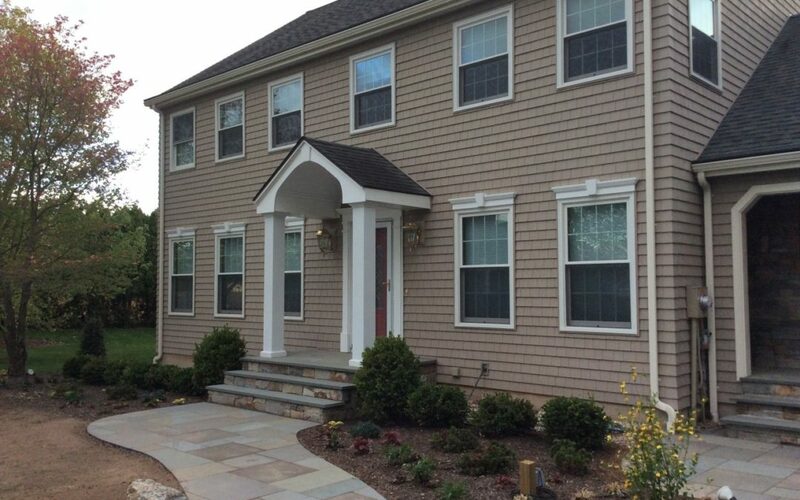 is a Connecticut home remodeling and home improvement contractor that provides high quality energy efficient products for your home, We are fully Insured and has been servicing the Berlin, Hartford, West Hartford, Middletown, New Britain and beyond for over 20 years. Sean and his team of professional home improvement contractors have built a reputation in the area for precipitating a high level of experience and communication to every home improvement or repair project, to ensure every homeowner is satisfied with the finished product. We service the following towns and surrounding areas in Connecticut; Glastonbury, West Hartford, Berlin, New Britain, Bristol, Middletown, Manchester, Farmington, South Windsor, Avon, Vernon, Windsor Locks, Simsbury, Glastonbury, and Coventry. For more information about our services or to schedule a free consultation and estimate, you can reach us directly at (860) 748-8772.